Lean principles are penetrating the Finnish construction industry. 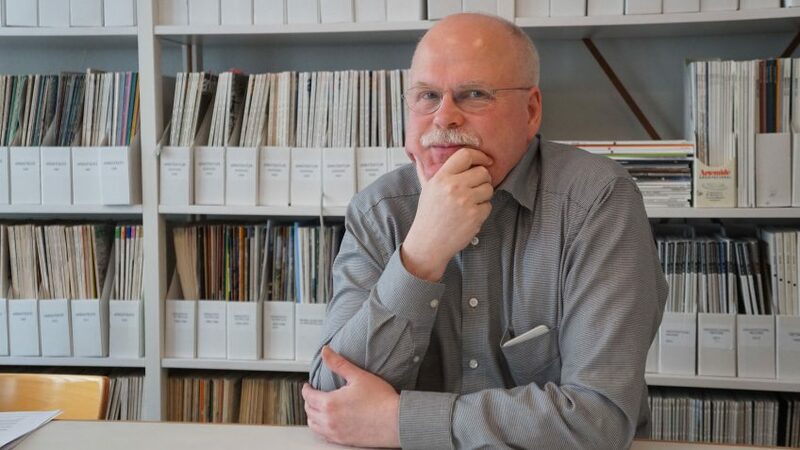 Architect Jyrki Iso-Aho, CEO and partner at A-konsultit, has been in the industry since the early 1980s. He has noticed that recently almost every project is borrowing features from the alliance model, especially early integration. A-konsultit, established in 1962, was an early integrated BIM user. “We did the first BIM pilot project in 2000. It was an extension to the University of Technology’s main building in Otaniemi. Back then, I gave several presentations about the project and predicted that BIM would be mainstream in five years. Today, I think we still have five years to reach that,” Iso-Aho says smilingly. He wishes that clients especially would make more use of BIM. Nevertheless, he’s noticed that BIM is now out in the field and site engineers increasingly use BIM models on their tablet computers instead of traditional 2D drawings. Today’s project organizations are much more complex than a few decades ago. In addition to designers, there are specialists for every aspect of a project; for fire safety, BIM coordination, and elevator design, to mention just three. Iso-Aho counted 40 specialists on one recent project. The same project had 125 programmed meetings where the architect should have been present, not to mention all the unplanned meetings. “Lean design should mean fewer meetings and less red tape, which cancel out the productivity improvements of digital design,” Iso-Aho observes. Clients, engineering firms, and contractors are getting bigger and move into a more hierarchical environment, which may create internal communication barriers. Hierarchical organizations conceive hierarchical planning and decision-making processes. Iso-Aho believes that Big Rooms will solve many problems in communication and decision-making in all kinds of projects, provided that decision-making happens also in the Big Room and not somewhere else. For him, the biggest value of early integration is that the contractor –and also end-users– joins in before production design. “Continuous improvement is easier to realize within a single organization than in construction projects which always see new combinations of companies. That’s even true in alliance projects,” Iso-Aho says. Every company has its own internal processes and project models. To make those work together and systematically improve them on projects, you need sustained cooperation between companies. Senate Properties, the Finnish governmental client, uses long-term partnerships with suppliers. ATT, the City of Helsinki’s housing organization, is moving toward a model where the architect assembles and oversees the design team as the lead designer. Models like these encourage continuous improvement even with irregular collaborations between companies. Iso-Aho believes that lean construction has a lot to offer, especially to project scheduling and production methodologies. “Our current practice of long subcontractor chains creates unnecessary delays in the process. A better scheduling system is needed. Also, the choice of subcontractors should not be based on the lowest price, but on the ability to be present to play his part just when needed, which would save both money and time,” he says. Iso-Aho sees great potential in increased prefabrication and precise material logistics. These would remedy many product quality issues that we currently see.